As the months pass, the worst-case scenarios - kidnapping, murder - seem less plausible. The trail has gone cold. Yet for a desperate Jenny, the search has barely begun. More than a year after her daughter's disappearance, she's still digging for answers - and what she finds disturbs her. Everyone she's trusted, everyone she thought she knew, has been keeping secrets, especially Naomi. 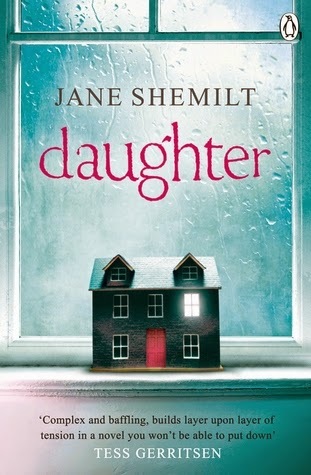 Piecing together the traces her daughter left behind, Jenny discovers a very different Naomi from the girl she thought she'd raised. This was a strange book. It felt a little weird reading it now that I'm pregnant, wondering about the relationship I might have with my teenaged daughter one day. Is it really that easy to be completely unaware of what is going on in your children's lives? I hope not! And aside from a pretty annoying ending, it's still a pretty scary read. A child going missing is up there on my list of worst fears. I dunno that I'd recommend this as a good book tho.